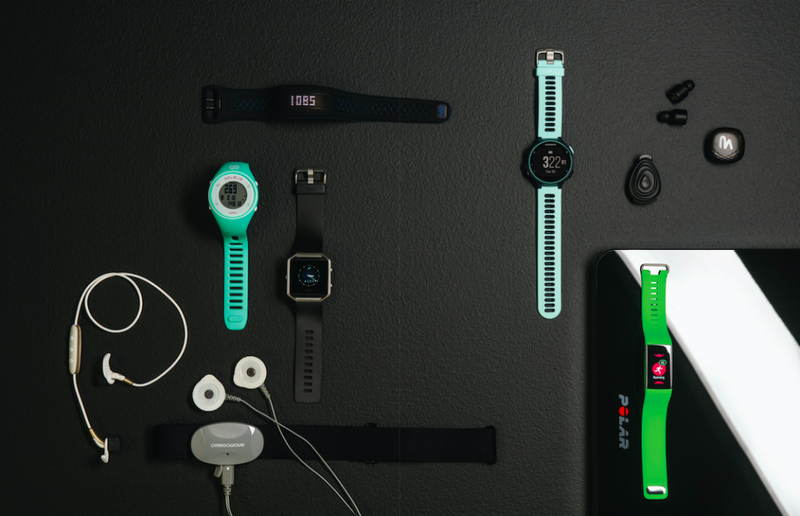 Along with a slew of testers, we put dozens of the latest running gadgets through the wringer to uncover the year’s best and brightest. These buds are completely wireless—as in zero wires! Need we say more? Testers Reveal: If you’re training for a marathon, Earin’s buds may not be your new best friend with only three hours of battery life, but testers were obsessed with the wireless aspect and excellent sound quality. Great for a short run, these were even better for a gym routine, so you can grab both weights without those annoying cords getting tangled! Geek-Out Factor: The buds come in a slim, small case that charges them when stored, so you can easily re-juice on the go between uses. New this year to the Fitbit family, the Blaze activity tracker (plus smart watch, heart-rate monitor and touch screen) premiered in January. And if you thought we just listed a slew of cool features, hold onto your sneakers—there’s more where that came from. Testers Reveal: This watch is perfect for workouts and the interchangeable band makes it a great accessory any time of day. (Think: plum elastomer for your run, caramel leather for the office.) The Blaze provides a comprehensive picture of your overall health by taking into account daily steps, heart rate and sleep patterns—thereby giving you a heads-up if you’re training too hard or haven’t been active enough. Geek-Out Factor: The watch connects to Bluetooth, so you can read text messages at the tip of your finger. Fitbit also sends you a regular email with your stats measured by the device, so you can see proof of those results! This watch is great for running—but it works just as well to track cross-training in the pool or on the bike. The device measures heart rate without a chest strap, as well as a slew of other stats, with an easy-to-read display. Testers Reveal: Not only is it sleek, fashionable and light on the wrist, this watch stores all of your running data points, including cadence, average stride length and time on the ground. Just don’t be immobile for too long—our testers were surprised when the watch buzzed and told them to “move!” after sitting at their desks for a long period of time. Geek-Out Factor: After taking this watch on a handful of workouts, your predicted race time is populated for a variety of distances. There’s also a recovery advisor that suggests how much rest you should take between workouts—did someone say “siesta”? 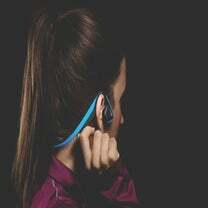 These sweat-proof wireless headphones set your hands free, so there’s no hassling with cords while on the run. Control buttons on the device allow you to answer calls during a workout, skip to the next song (or replay the previous tune) and control volume. Testers Reveal: While testers were into the wireless capabilities, they didn’t love having to charge the device after four hours of use. However, the included charging clip piece can extend battery life up to eight total hours if you’re on the road without access to an outlet. Geek-Out Factor: When paired with a smart watch, you can download your music and sync with the headphones for a completely phone-free, no-hands running experience. Pretty liberating! Clip the little device to your shoelaces and instantly start tracking your gait, pace, foot strike and cadence. Upload the info to the app whenever the mood strikes. There’s no rush as the pod stores up to 20 hours of data. Testers Reveal: This is an extremely cost-efficient way to take a look into your running performance and analytics. Testers loved how simple the device was to use and the detailed data it provided. Geek-Out Factor: There are no cords, no charging and no need to bring your phone when you run. Start an activity and the pod will pick up the movement and start recording data. Simplicity is not overrated. This sporty-looking activity tracker doubles as a watch and keeps tab on your daily steps, heart rate (resting and during activity) as well as distance and pace during workouts. Plus, it’s waterproof up to 30 meters so you can take your routine from land to water. Testers Reveal: Users had some initial issues syncing the watch with the app, but once paired, the tracker provided valuable heart-rate stats during activities. Geek-Out Factor: Based on your personal data entered in the Mio Go app, the watch will set up five different heart-rate zones, specifically for you. During a workout, when you reach a new zone, the device will vibrate to let you know you’re pushing yourself to the next level. First step: Take a four-minute test to measure your metabolic, cardiac and central nervous systems with the device’s electrodes and heart-rate monitor. After the analysis, you can optimize your performance with personalized training plans that push your fitness limits. Testers Reveal: This product is for the serious runner or fitness enthusiast looking to analyze potential and test boundaries. There are quite a few instructions to read, which can be a bit time-consuming, but once our testers got the hang of it, the results were intriguing. Geek-Out Factor: During a run, while using the app in conjunction with the heart-rate monitor, users will be instructed to “pick up the pace” or “slow down” based on the previous body assessment. It’s like the movie Her, but with Scarlett Johansson as your personal trainer! Don’t be fooled—this fitness tracker might look basic, but it does much more than simply keep tabs on your daily activities. Heart rate, smart notifications, sleep analysis, training guidance and healthy weight management are all part of the package. If you are trying to lose a few pounds, pair the tracker with the scale to watch your progress. Testers Reveal: An intuitive interface made set-up a breeze, and our testers loved how comfortable the tracker was on their wrists. The only downside was the small charging piece that was potentially easy to lose. Geek-Out Factor: Combining the tracker with the app and the scale is the triple threat for any fitness junkie. Analyze your stats and start crushing your goals with real-time data. This watch is perfect for the runner who is looking for a simple tracking device to record distance, calories, speed and cumulative time or splits. The simplicity of the one-button design is a win for runners who aren’t particularly tech-savvy. Testers Reveal: Although the GPS didn’t pick up as quickly as some of our testers would have liked, it was an improvement from previous models. Pro tip: Allow it to start searching as you do your warm-up. Geek-Out Factor: You can run with it for days! With eight hours of GPS battery life, this watch is perfect for long-distance training. If you want to go further than gauging your runs with pace or heart rate, consider a metric long used by cyclists, and measure your workouts based on power. This product takes into account more than 12 different metrics, including outside environment and muscle strength to show you how efficiently your body is working to produce maximum results. Testers Reveal: Testers recommend this product for serious runners looking to better their times by analyzing how hard they’re working during a run. The book Run With Power by Jim Vance ($19, velopress.com) is a great companion to learn how to master a power meter. Note: This device must be used in conjunction with a GPS watch or smartphone app. Geek-Out Factor: Stryd can help reveal running form deficiencies by taking into account leg spring stiffness, one of the metrics used to evaluate power exertion. Stop wasting energy and start pinpointing running inefficiencies as you work toward a smarter stride. Your next PR awaits!